We are a leading Manufacturer of office storage units, office tables, conference table, modular office furniture, executive tables and linear work station from Pune, India. This storage unit is made up of pre-laminated particle board. The storage unit offered by us is checked by our quality experts to guarantee that it is free from any kind defect. We manufacture the office tables in any customized size, with or without side storage/back storage, depending upon the requirement of the customer and design, layout, etc. In Pre-Laminated Particle Board / MDF/ ply with laminate, etc as per customer’s choice. We offer a wide range of conference tables, in a wide variety of shapes and designs, matching the interiors of the conference room. Apart from Conference table itself, we also offer World Class solution for Power, Data & Voice management on the conference table, which can be incorporated/fixed on the table itself to give an ethical look along with great flexibility. 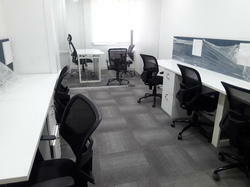 With firm commitment to quality, we have attained proficiency in designing and offering Modular Office Furniture. This furniture is designed and made at par with the market trends utilizing high-grade materials and sophisticated techniques. Clients can place these products in homes, offices, hotels and other such places for increasing visual appeal of the interior. We manufacture these executive desks in any customized size, with or without – side storage / back storage, depending upon the requirement of the customer and design, layout, etc. In Pre-Laminated Particle Board / MDF/ ply with laminate ,etc , as per customer’s choice. 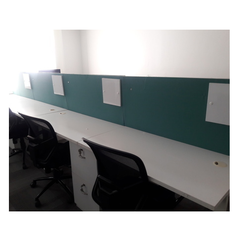 We are offering Linear Work Station to our clients, as per customize size & colour. Depending upon the requirement of the customer and design, layout, etc. In Pre-Laminated Particle Board / MDF/ ply with laminate, etc, as per customer’s choice. We are creating cabins with different materials 75 mm thk. Al.powder coating structure with partially glazed partitions 10mm/ 12 mm thk. 75 mm Soundproof Gypsum partitions 50 mm thk. Ply with laminated partition. Depending upon the requirement of the customer and design, layout, etc. In Pre-Laminated Particle Board / MDF/ ply with laminate ,etc , as per customer’s choice. 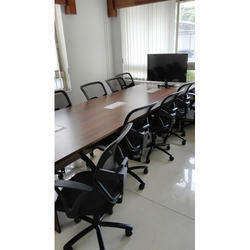 Clients can avail from us an extensive array of Modular Executive Tables. In order to fabricate these tables, we make use of optimum quality wood and other material that is sourced from the trusted vendors of the market. These tables have gained huge demand in the market due to their superior quality, durability, trendy designs, easy installation, light weight and longer service life. 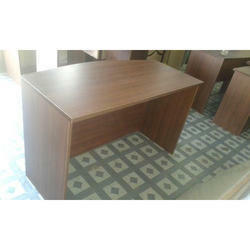 Further, these tables are widely used in hotels, hospitals, offices and other institutions. Also, we can customize these tables in various specifications as per the details provided by clients. Since inception, we have gained specialization in offering an eye-catchy array of Office Cubical. 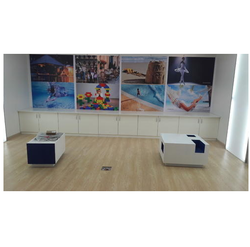 The offered furniture is widely used in offices and hotels and other allied places to provide proper working environment respecting the room space. 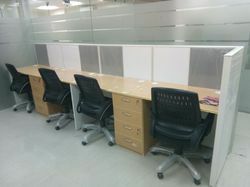 These Cubicals are designed and manufactured by adroit professionals using premium grade wood and steel bars with the aid of sophisticated techniques. 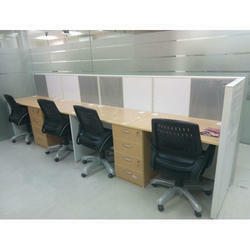 Furthermore, our clients can avail the provided Cubicals from us at the industry leading prices. 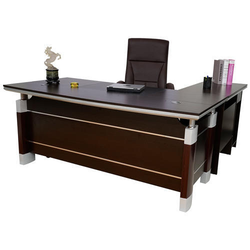 We are engaged in offering our clients a wide variety of Manager Tables with unique designs, and appear quite different from other office furniture. They are exclusively cut to suit the office. They are available in sizes and shapes as required by the customers. Our set of furniture for managers and individuals with high authorities consists of a roundtable, center table, and corner table. Our range of Manager Tables are available in customized options and possess the following special. 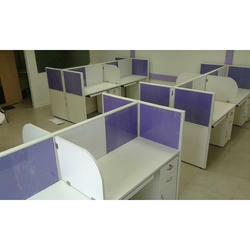 We are offering Office Cubicles to our client. 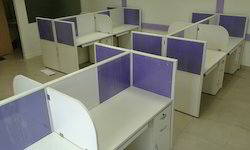 Depending upon the requirement of the customer and design, the layout we are providing Bank Counter Unit to our Clients. We design and develop an elegant range of Modular Office Partitions, that cater to the requirements of various corporate offices and other places. 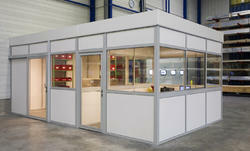 Our modular office partitions are based on latest style to suit the contemporary trends of the industry. Owing to our expertise, we also provide customization facility in order to ensure flexibility and comfort to the office premise.